The saddest thing about bounce houses might be that they often aren't big enough for you, a fully-grown, adult human being. A glorious romp through one of these things is usually cut short by the limited real estate occupied by gleefully bouncing eight-year-olds. But luckily, the largest bounce house in the world -- which is more than big enough for grown-ups -- is touring the United States. Naturally, this means you should cancel all of your plans. 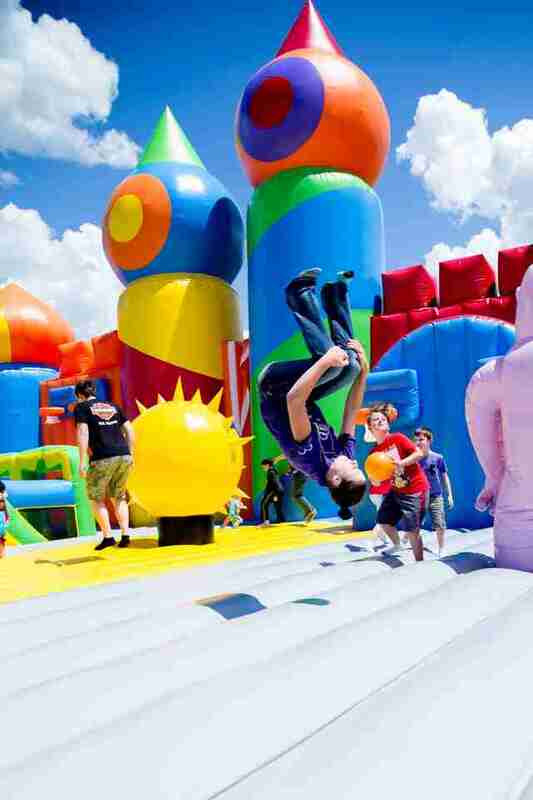 Courtesy of The Big Bounce America, what's basically the Taj Mahal of bounce houses is making pitstops in various American cities from August through November. It's a 10,000sqft labyrinth that took two years of research to develop, according to its Scottish creators, Cameron Craig and Grahme Furgeson. “The big inflatable comes in five sections, so the guys have to roll [it] out. It’s like a big jigsaw basically that you need to get right first time," Craig explained to a local news outlet in Milwaukee. Each session lasts an hour, and your euphoric screams will probably be drowned out by a DJ and MC who provide the soundtrack. 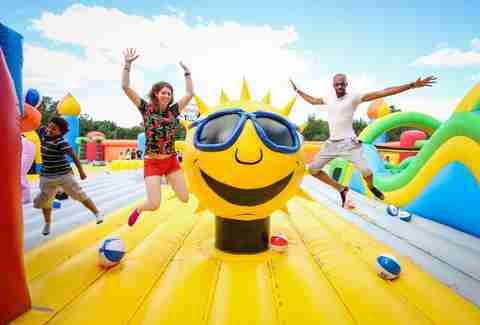 There's inflatable sofas and beds, and a variety of activities like obstacle courses, along with basketball hoops, foam pits, ball pits, and literally everything your nostalgic little heart could possibly get all giddy about. Oh yeah, and there's a VIP lounge, too, but don't expect bottle service or anything, because this is a family institution. Sure, you'll have to jockey for position with a bunch of squealing kids, but if you live in any of the cities listed below, make sure to check out the Mother Of All Bounce Houses™ when it inflates in your backyard this year. Check out the official website for ticketing and additional information.